Get You In Shape was started in 2006 by Brad Linder. Fast forward to today, Get You In Shape is the most popular, most talked about, and most results-driven fitness program in the Dallas, TX area and in Coppell, TX. Since 2007, Get You In Shape has helped over 5000 participants in our nutrition services and fitness programs. Group Fitness Boot Camps and the 24 Day Challengeare the two most popular programs that Get You in Shape offers. Get You In Shape also offers Corporate Wellness and Fitness Programs and also private personal training. We have found our fitness boot camp and the 24 Day Challenge are our two main programs that help people get results. We have pioneered a high intensity fitness boot camp in Dallas, TX andCoppell, TX, called the Get You in Shape Boot Camp, which has received rave reviews. 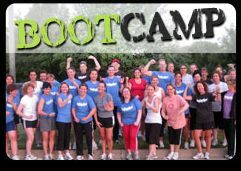 The boot camp is very different from all the other boot camps out on the market. Our approach is helping make the process fun without yelling, making clients do what they can’t do, and bring customer service to fitness and nutrition that clients have not gotten before. Each month, we analyze weight loss from the group, and create a forum for healthy support and camaraderie among the participants. Get You In Shape is located in Coppell where the boot camps are primarily held. Get You In Shape has had boot camp locations in Dallas, Richardson, Plano, Irving, and other Dallas Area locations . We also conducts corporate fitness and wellness along with health and wellness seminars for businesses, churches and other organizations throughout the Dallas area. 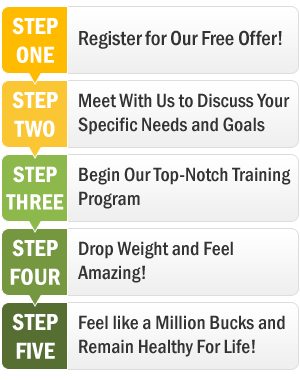 The second most popular service that Get You In Shape offers is the 24 Day Challenge. Get You In Shape is not all about selling fads and programs. We have found really two programs that have been proven to be effective and work. The Get You In Shape fitness program (our group fitness program or boot camp) and the 24 Day Challenge. The 24 Day Challenge program incorporates exercise, a well-balanced diet, and nutritional products into an easy to follow program. There is NO cost for the professional consulting you will get. The ONLY cost is for the Products nutritional supplements that are a part of the 24 Day Challenge. Their are group 24 Day Challenges and Get You In Shape can also get individuals started. We encourage most folks get some of your friends involved with you and make it a real Challenge as many people are motivated and encourage knowing other people are doing it with them. Get You In Shape has lead group 24 Day Challenge for Dallas corporations looking for a wellness contest.